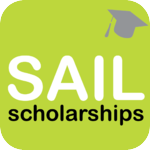 Sail is a new smartphone scholarship app. 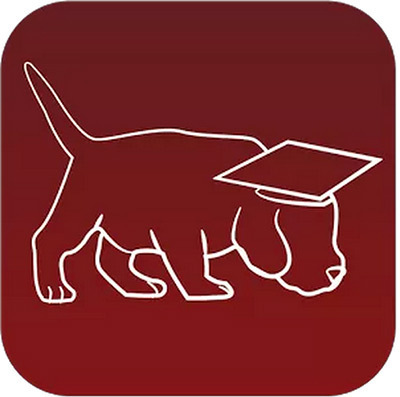 The creators of Sail state as their mission: To get students to go to school for free by providing an easy way for them to find and win scholarships. There’s not much else to discover about the background of Sail, except that the Sail team consists of “a couple of college grads,” one of whom (listed as the developer) is Calvin Cox. Start searching for scholarships by entering your student information: gender, race, location, school, education, major, GPA, and other, and then hit Find Scholarships. The resulting scholarship list gives you a way to sign up for email updates, below which are two sections for scholarship listings—by specific school (chosen under the above parameters) and a list of private scholarships. Each listing gives the award amount, the application deadline, and a description of the scholarship including eligibility requirements. You can hit the Apply Here button and go to the sponsoring website or hit Send and email the scholarship information to your computer or a friend. (It would be a bonus if the email fields—especially the From field—were linked to your contacts so you didn’t have to input every last letter.) You’re also able to save any interesting scholarships to My Plan. Our profile gave us a list of three school-specific scholarships and 59 private scholarships. Notable among the private scholarships were the frequently seen “big-box” awards from companies like Coca-Cola, General Mills, and Kohl’s. There were also 22 contests on the list and some of the ubiquitous “scholarships” from scholarship search websites. Not much of anything new on this list. Sail is another new app that we think has a lot of potential for the future. No huge amount of information sharing is required, it’s got some nice features, it’s pretty easy to use, and the 99 cent sticker price is pretty painless. That said, the quality of its scholarship listings could use some improvement. The listings aren’t that bad, but they aren’t very interesting either, and certainly not up to the quality you can find on some scholarship websites. Nevertheless, this is one to try out and keep an eye on.